Hi, I'm Charlotte I hate running. Really, really hate running. But a month ago I made the crazy decision to sign up for a 10K after watching my friend Eve nail the Great Manchester Run. Now I'm taking the Couch to 5K programme and running three times a week. I even did an extra half a mile run last Thursday when I'd finished my session, "for fun", and last Sunday, minutes after getting in from Ireland I started lacing up my trainers. Do I still hate running? Of course. But I'm learning a lot along the way. I am no expert. Not at all. But I wanted to write something for people in the same position I was in a couple of months ago. People who hate running but would secretly really, really love to be good at it. People who just need that push to lace up their trainers and get out there. I'm already learning a lot from my own experiences and bits and pieces I've picked up from friends and reading up online. I'm really proud of how far I've come and also quite surprised. I've started to look forward to my runs and through tracking them on Endomondo I can see my progress; my average speed, the lap time of each mile, distance, my maximum speed. I love getting all geeky and comparing my runs! I'm only halfway through the programme so I'm sure I'll learn lots more things as I get closer to completing my first 5K and as I reach my 10K goal, but I'm so inspired by running at the moment that I couldn't wait to share any longer! This was really, really important for me. I wanted to run, sure, but I didn't really want to run. I decided a long time ago that running wasn't really for me and found way more pleasure in other workouts so I didn't feel the need to start running. Seeing my friend Eve prepare for the Great Manchester Run, going down to support her, feeling the electric atmosphere and sense of solidarity, and eventually seeing her reach her goal was incredibly inspiring for me and exactly what I needed. Go with a friend to watch them do a run, or just get someone to share their running story with you. Find that lightbulb moment that pushes you to think "I want to do this and I'm going to prove that I can." You know what it was for me? Being absolutely convinced that I couldn't do it. My inspiration is proving myself wrong. 2. Set a challenging but achievable goal- and sign up for it! I know what I'm like and I knew it was important to me to sign up for the Manchester 10K before I'd even started training. I knew on that first run I would remember how much I hated running and lose interest. So as soon as I came home from Eve's race, I signed up. I signed up to run for Alzheimer's in memory of my Nana and I paid the submission fee. Then I knew I couldn't pull out. I also decided to go for a 10K because that was a challenge, but enough of a challenge that I knew I could train for it and do it. Obviously I wasn't going to start from nothing and do a half marathon, but similarly a 5K didn't feel enough of a challenge. 10K from nothing felt difficult, but not impossible, and also a feat I knew I'd be proud to have done. For me, this was Couch to 5K. I'd heard great things and I'd tried it before (though failed, admittedly) so I knew this was what I wanted. It pushes me to run three times a week (although I sometimes do more) and each week pushes me harder and further, but in a way that is manageable. I'm the kind of person who needs a routine, a push and a kind of responsibility. If I know I have to run three times a week I know I bloody well will! This is my plan but I know it's not for everyone. Do some research and find a plan that works for you. This was the biggest step for me- just getting out there and doing it! I told myself I'd start after finishing Extreme Shed and Shred but I was getting bored with it and was putting off the full hour long workout. Which led to me thinking, well I haven't really finished it then so I can't start running, right? Then one day I was coming home from work and it was an absolutely gorgeous day and I thought, this is it. I want to go for a run. From then I knew I'd "started" and as a goal-orientated person I knew I had to keep going! Once you make that first step it's easier to keep momentum. But becoming a runner starts with that first step, so stop making excuses and get out there! After three weeks of running, I spoke to a couple of people (including my best friend Steph who is a heptathlete) about running shoes. I knew the shoes I was wearing for running weren't ideal but I wasn't prepared to make excuses. Steph gave me some advice on what to look for and I headed to the Reebok and Adidas outlet with my Dad. I asked for some assistance and the guy was incredibly helpful in finding my the right trainers (always ask for help if you don't know what you're looking for! Don't come home empty handed or with the wrong thing!) and I splashed out on some workout leggings. I also bought an O shaped water bottle and an iPhone arm band. These things made a huge difference to my workout, but they weren't necessary at the start. Like a lot of hobbies, running can be expensive, so don't spend loads unless you're serious. I'd love to get some wireless headphones next but at the moment, I have what I need. Wireless headphones won't make me a better runner! As my ultimate goal is a 10K, I'm taking the Couch to 5K plan for 9 weeks (plus any repeated weeks which I fully expect to have to do). My aim is to complete a 5K by the end of September. Then I plan to do a few weeks of consistent 5Ks to build up before starting my 10K training before the winter sets in. I also enjoy the constant development of the couch to 5K programme that pushes me every week. Having those goals every run keeps me focused! I also love using Edomondo for tracking my runs. I get so excited if I did my mile in a shorter time than yesterday, or if I've increased my maximum speed or overall pace. As a goal-orientated person I love getting home and comparing my running stats! I've talked before about incorporating Jillian Michaels DVDs into my routine alongside my running. When I first started C25K it was much more walking than running, so I came home after each run and did the 30 Day Shred, and I also try to do Jillian's 50 minute strength workout, No More Trouble Zones once a week. I like to get a good mix of strength and cardio into my workouts. However, I am finding more recently that because the intensity of my runs is increasing, it's more of challenge to do a second workout. I'm finding it important to listen to my body. Am I exhausted or do I just have enough to keep going? Will I feel worse or better after a second workout? Don't push yourself or overtrain, but if you think you can do more, do more! Treats are important. They're a great incentive to keep going and reward yourself. Sometimes a treat is a rest day, or a new running tshirt. My current favourite treat is a bottle of Tropical Lucozade after finishing my run. I don't do it every time, but once a week it's a delicious treat that I really relish after my run. I just bought this tshirt which is both a treat, and a reminder of the importance of treats! Ironically linking from above but still. This is way more important than I first realised, especially last Sunday when I ran without eating before. I am no nutritionist, but I've read up a lot on what to eat before and after running and most of it is consistent, and I want to share because there are a lot of things I didn't know. I nearly always eat a slice of toast with peanut butter before my run, and come home to a meal of protein and carbs, but I didn't realise how important this is. Before running, it's important to eat carbs because they give you a quick burst of energy to fuel your run. After, you need a meal made of carbs and protein. I read that you should eat within 20 to 60 minutes after a workout. Now this has been argued back and forth, but I tend to workout before a meal so I find this guide useful to push me into eating as soon as I get back, but it's your call. I've always tended to avoid carbs in the evening, but learning this has encouraged me to make sure I eat them to refuel after my run. My favourite post-run foods are eggs and toast (if I've done a morning run), sweet potatoes with fish (this is a favourite post-workout meal) or homemade fish curry and rice. I always favour quick-to-make food to ensure I can eat within that 60 minute time frame, and sometimes start cooking before my run. I always eat a lot of vegetables with my evening meal too. In general though, eating right makes such a difference to your run. You will always exercise better on a good diet. Of course, make sure you're eating enough and drinking a lot of water. I nearly passed out because I went for a run without eating the other day, so please remember that you're putting your body through a serious workout so treat it right! I fully expect to have to repeat a couple of weeks as my programme gets more and more tough, but I'm okay with that (I've actually had to repeat a run this week!). I know I'm going to have days, weeks even, where I don't want to run, or that I don't run as well. But you know what? That's life. So long as I'm lacing up my trainers and getting out there that's all that matters. I've also started finding that because I'm pushing myself harder on my runs, I'm coming home absolutely exhausted and without the energy to complete another workout. Have I been beating myself up about it? Of course I have, but I know I shouldn't. Just the fact I am getting out and running more and more each time, improving my distances and times on every run and generally just the fact that I am running is cause for celebration. And the fact that I am running so hard that I am coming home on the verge of collapse is demonstrating how much I'm trying. It's hard for me to give up on my Jillian workouts because they were "the plan", but my goal is to run and by god am I running! Don't beat yourself up, just keep going. Stay focused, work towards your goal and remember that you're always one run closer to that. I never thought I'd look forward to my runs after work or that I'd do an extra run "for fun". But here I am, 5 weeks on and I'm doing it. And this is how I've done it. As I said, I'm no expert, but this is what works for me and I want to share that with you. I'd love to hear any tips or advice you have, or any questions. I hope this inspires at least one person to take up running, because I'm still amazed at how it's changed me. I hope to add to this over the next few months and I'm excited to see where running will take me! Enjoyed the post, nice to hear someone else's experiences. I have run a bit most summers but this year have started trying to increase distances as I'd only run a mile or so before. As an asthmatic it's frustrating it takes me longer than non-asthmatics, but I'm pleased with my progress, and am doing it to improve mental health and help with stress/anxiety instead of training for a race - weirdly this has motivated me more to go out and keep doing it. This was a great post, I totally agree with you! I started training about 10 weeks ago using the Couch to 5K app you recommended. Before I started I definitely wasn't a runner, and I found it so tough but today I completed my first 5K! Yes I had to walk a little bit but I still completed it in 30 minutes and I'm very proud of myself :) I'm really enjoying my runs as well, its such a nice way to blow off steam after a long day, good luck with your 10k! You always inspire me Charlotte. I absolutely HATE running but I know I could do it if I tried. Love this! I started running back in December, and while I still slack off sometimes, and still definitely feel like a "beginner," I know all your tips are spot on! :) Thanks for sharing, girl! Really great post! I too recently took up running! I've done a few 5k's with no training so I'm going for a half in September! I also found a really great training program...check it out on my blog! Layla you should try the run/walk training method. In speaking with some marathon runners it's actually a pretty widely known plan and runners finish in better or the same time. Might help with your asthma. 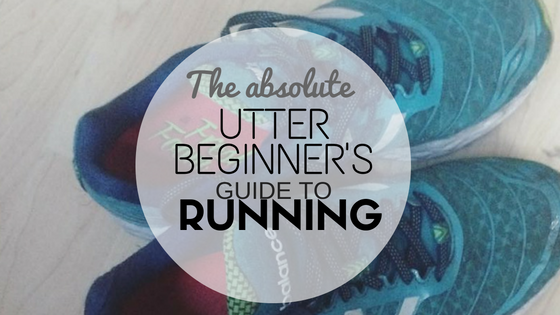 I'm really happy to see a running post from someone who hates running like I do. My boyfriend is always trying to get me to start running with him but I just hate it so much. It makes me feel awful and I've never been good at it. I'd much rather lift weights. But this is something I wish I was good at, so I think I'll give it a go again when I head back to school in August. It's hard for me to stay motivated, so I'll come back here and read your post! I'm so glad your running is going well and that you're improving. You've inspired me to try to get into running! Thanks, that's sort of what I've been doing, and I think once I go for longer distances I'll definitely need to use this kind of plan. There seems to be little out there for specific asthmatic running advice apart from "take your inhaler" and other obvious things! Will check out some plans.